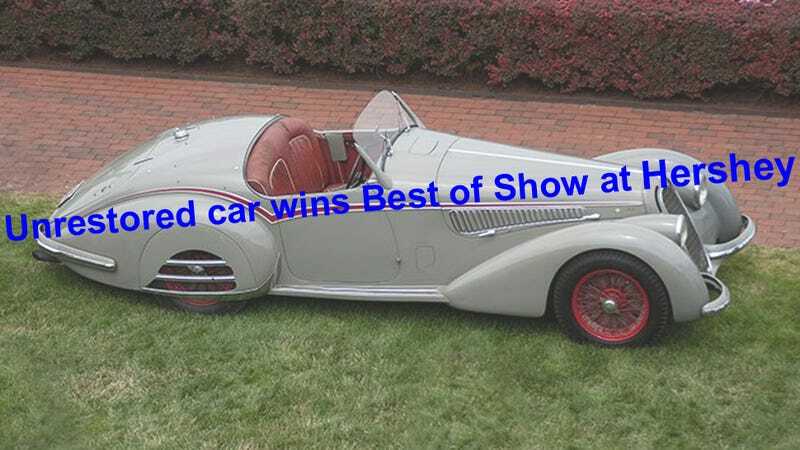 This award will likely cause repercussions among classic car owners and restorers who obsess over eliminating every pimple in the paint and varicose vein in the seat leather. The event organizers, which include officials from the Antique Automobile Club of America, emphasize that many old cars are indeed drivable and not merely trailer queens. (See Jalopnik post about the rare Bugatti that was driven to Hershey by the owner’s grandson.) The weekend of events, including a revival of the Hershey Hill Climb for vintage cars, has raised hundreds of thousands of dollars for Juvenile Diabetes Research and AACA educational projects.